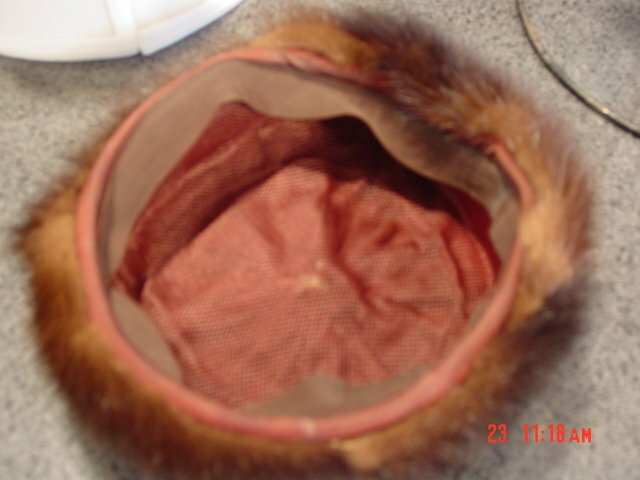 This mink fur pillbox hat dates from the late 1950's. 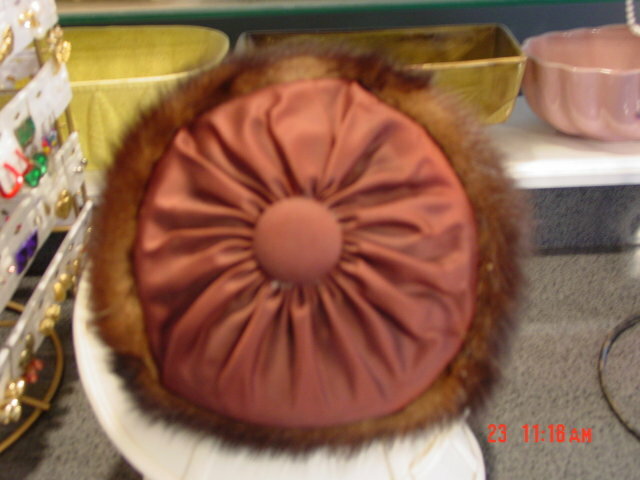 There are two mink pelts forming a circle, with dark burgundy satin and a large button on top. The interior is lined with a burgundy net, and it has a brown satin 20" band. There is no tag. Great vintage condition. 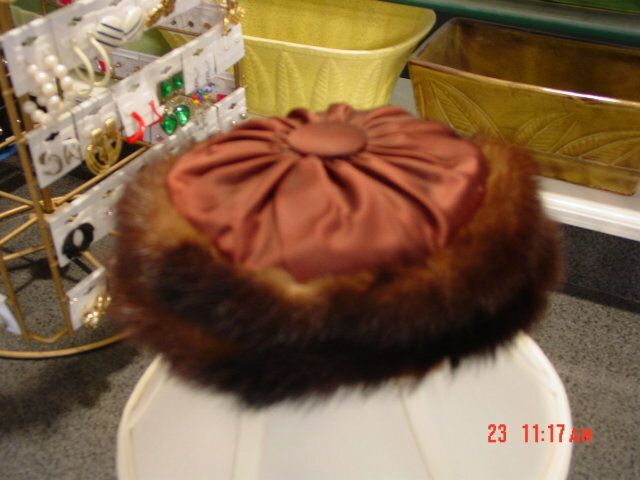 Items Similar To "Mink Fur Pillbox Hat"